Late models of Ford, especially AWD or 4WD vehicles have the warning light that is amber and shape of a wrench. The wrench light on Ford vehicles is a powertrain malfunction indicator light. When the vehicle computer detects a problem on the engine or transmission, it turns on the wrench light and restricts the vehicle performance. What does the wrench light mean? The meaning of the wrench light roughly the same as the check engine light. When the computer detects on the engine or transmission, it turns on the wrench light. You may see the check engine light on at the same or later on. 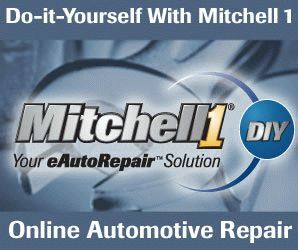 What is the difference between Check Engine Light and Wrench Light? Two indicator lights have many things in common. They may illuminate at the same time. The difference is that the wrench light is a part of the Ford manufacturer’s own warning system while the check engine light is a part of On-Board Diagnostics (OBD) system that is standardized on all vehicles manufactured in the U.S. of the model year 1996 and later. And the wrench light indicates the related problems limited to throttle control and transmission. What to do when the wrench light comes on? First of all, you may not have many choices other than pulling over because a vehicle may be heavily restricted acceleration or shifting on transmission. What is important is what to do after pulling over the vehicle. The computer most likely store the diagnostic trouble codes (DTCs), even if the check engine light isn’t on. Pending codes don’t turn on the check engine light. If you have an OBD scan tool, get the codes. If you don’t have one, go to a local parts store, and they may scan the computer for you for free. Your vehicle may be in the condition that is too hard to get to the stores because of reduced engine power. In that case, turn off the engine and restart after a while, and the wrench light may disappear, and your car may start and drive as if nothing has happened. However, as long as the problem exists, the light will come back on. So, it’s important to scan the computer and get the DTCs as soon as possible. If restarting the engine fixes the problems temporarily, you may perform self-diagnosis as long as you are comfortable to do so. It means that you can try to find when exactly the wrench light comes on. For example, you do this a couple of times and find out that the wrench light comes on every time the car shifts to the 3rd gear. From this, you can guess the cause of the problem would be in the transmission. Even though you’re not a DIYer, this information will help a mechanic diagnose and fix the wrench light problem. If you are considering buying an OBD scan tool, please note that most cheap OBD scan tools aren’t capable of reading the pending codes and the manufacturers specific codes, (B-codes, C-codes, or U-codes, neither.) In my experience, most of the time, the wrench light comes with the manufacturer’s specific codes, which start with P1xxx. So, you will need a good one. It used to be that only professional-grade scan tools which cost thousands of dollars could get all these codes. But now you can buy one for a fraction of costs. BlueDriver is an OBD scan tool that works with a smartphone’s app. For selected manufacturers including Ford, you can get all these codes. Getting DTCs is one thing you must do when the wrench light comes on, and checking an electronic throttle body (ETB) is another, especially your vehicle has a lot of mileage. A carbon build-up and sticky gunk inside the ETB can affect the movement of the throttle plate and confuse the computer finding the right throttle position. When it happens, the computer turns on the wrench light and puts the engine into the limp home mode. So, if it’s dirty, clean up the ETB with an appropriate cleaner and perform the idle relearn procedure. Some people confuse the wrench light with an oil change reminder light. Many YouTube videos show how to reset the oil life on Ford vehicles. But a few videos mistakenly treat the wrench light as the oil reminder light. The videos show how to reset the oil change reminder light correctly. But these two lights have a totally different meaning. One is a warning light, and the other is just a reminder light. Only a few models and years have this indicator light. As long as I know, they are Ford Fiesta 2011, 2012, and 2013. Other models and even newer models of Fiesta don’t have one. Instead, most Ford vehicles remind you by showing the message “Engine oil change due” on the information display. The procedures of resetting the oil life are almost the same. The wrench light is a powertrain malfunction indicator light. When it comes on, you may experience a severe reduction in the vehicle’s performance. The causes of the problem lie on throttle control and/or transmission. The light may come on along with the check engine light. Whether the check engine light is on or not, get the codes with a good OBD scan tool and narrow down the possible causes of the problem. You also need to check inside of the throttle body. If it’s dirty, clean it up and perform idle relearn. This entry was posted in Auto Repair and tagged Check Engine Light, Ford, Throttle Body on April 6, 2019 by admin.